I was initially afraid as I was making a big purchase over the net. 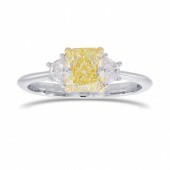 However the ring came and the sz fits my finger as we had talked over email. It was set quicker than expected and it came in a nice box . Maybe the delivery could be done more careful as the ring was out of the slot in the box and was not sitted nicely. It was a good experience thank you. 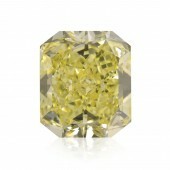 Dani was very patient with me as I tried to locate the perfect yellow diamonds for my ring. It took me three orders to finally be happy with the shade and shape. 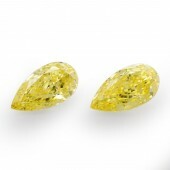 I ended up going with the GIA Intense Yellow Pear shaped pairs. She was very understanding, and when I returned the other two orders; a credit was issued without any problems. 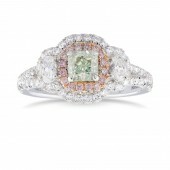 I have already recommended this company to others and to the jeweler that is doing my custom ring design. 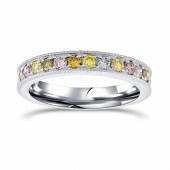 He commented on the "beautiful saturation" of color and quality of the stones. I am very pleased! I will be back! Thanks again! 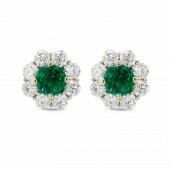 excellent services and beautiful earrings! Dani Ganz, Leibish's Director of Sales & Marketing, is absolutely THE best. We visited their NY showroom and she had 5 diamonds waiting for us to view that all met our specifications. There was zero pressure to buy a diamond during the entire process. We ended up selecting one diamond a week or so after our visit and Dani worked hand-in-hand with my fiance to design an amazing ring. Customer service was second to none from start to finish. I highly recommend this organization and Dani! 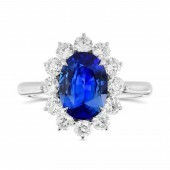 When I was looking to buy 18 months ago a perfectly blue sapphire ring, I was unable to find a suitable piece at my local jeweler store or others in Chicago. I was skeptical to look at the offerings on the internet not knowing the seller and its honesty. However, I found Leibish & Co. in New York City, owned and operated by the Polnauer family, and was impressed about what they had to offer. I contacted the company, got good advice and found the ring I was looking for. Since then, I have purchased four more rings ( yellow diamond, emerald, ruby and sapphire again ). 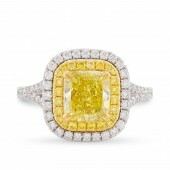 The colors of the stones, design and craftsmanship are exceptional. 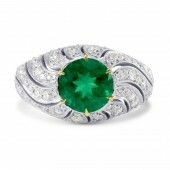 The pictures showing the rings on a lady’s hand are very helpful in making the right purchase decision. 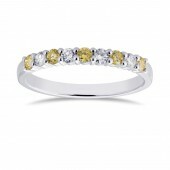 The last piece I bought two weeks ago was a multi-color sapphire bracelet with a halo of diamonds. 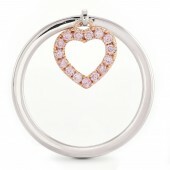 A stunning piece of jewelry sparkling like the different colors of the sky. The staff ( I had contact with Dani, Meira and Itzik ) arevery knowledgeable , professional, helpful and nice. I had zero problems, deliveries were on time and the recipient was thrilled. Leibish & Co. is highly recommended ! Leibish&Co you can trust them ! 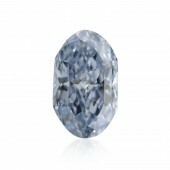 Leibish & Co. are the best precious stones seller i have ever met. They are 100% trustable. What they say is what they do. If there is a problem they will be fair with you even if it cost them something. I highly recommand this seller. This company provides outstanding customer service. From the first contact, Dani Ganz made me comfortable making such an important purchase without the traditional brick and mortar store. 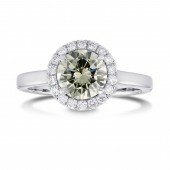 Multiple photos and videos for stone and mounting comparisons allowed me to choose the color and style I wanted with confidence and the end result was a beautifully constructed ring with stones that far exceeded the photos in appearance. 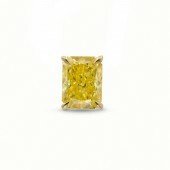 Their prices on colored diamonds could not be matched in the extensive research I did. This is the first place I would go to for any future purchase of this nature. 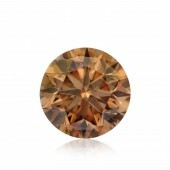 It has been an absolute pleasure sourcing two beautiful stones from Leibish. 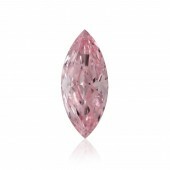 After searching the market for some time, for the perfect intense pink and intense blue diamonds, I was lucky enough to come into contact with Dani from Leibish. She helped me throughout the whole process from sourcing up until receiving each stone. There aren't many companies that are as attentive to customers needs while providing excellent customer service and a great selection of stones. Will definitely work with Leibish again in the future. Thank you Dani and everyone at Leibish! It is as pretty as I had hoped it would be. 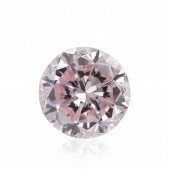 I just experienced the best customer service at Leibish and Co. USA, Fancy Color Diamonds. Dani Ganz, Director of Sales and Marketing, and Shelby Dauber, Office Manager, provided the excellent customer service. What I thought would be a complicated piece of jewelry was anything but because the office staff went over and beyond to create an original piece with quality diamonds. 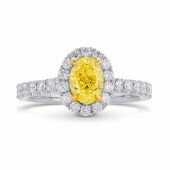 Dani is extremely knowledgeable about all colored stones and jewelry inside and out!! She responded, in a timely manner, to ALL my inquiries before the necklace was made to insure that I would be pleased with the final product. Shelby sent a detailed invoice for final approval. After a few minor changes, my necklace was going to be made. She consistently checked in with me on the progress of the necklace and when it would be shipped. As promised, my necklace arrived in three weeks. It's even prettier than I could have imagined. I am wearing it now as I write this review. Leibish and Co., I am a loyal customer for life! 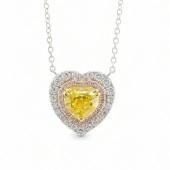 I will be referring your diamond company to my family, friends and just about everyone else. I recently received the engagement ring I ordered from Leibish. 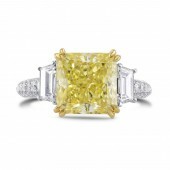 I am truly speechless, the quality of the ring, the diamond, the craftsmanship, its just unbeatable. The online reviews are fantastic, but i can now also confirm this is simply true. What i feel is that i ordered a bespoke ring from a master jeweller, and they put a lot of passion and dedication and delivered the absolute best product. Dani Ganz guided me throughout the process and again, her dedication, willingness to help its just fantastic. Absolute top notch service. Without her, would not have been the same. Big thank you to you Dani and to the team! The necklace was very, very, very nice. 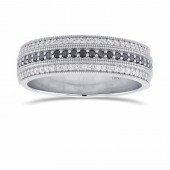 Excellent service, excellent ring, fast shipping and turnaround for resizing. The ring is even better in person and she loves it. Dani is an excellent service/sales rep. Would recommend! Once again, I had the pleasure of working with Leibish and Mali for a custom made fashion ring. The process is always flawless. Great communication and attention to details. 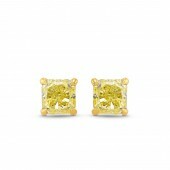 Leibish can make your jewelry dreams come true, with pieces so unique, that you can’t find anywhere else. I highly trust their art, craftsmanship and resources. Thank you Leibish for my custom made pink diamond dangling heart ring. 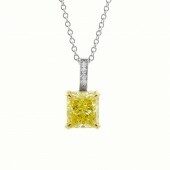 I ordered a customized diamond pendant, and the service I received was attentive and most helpful throughout the entire process. 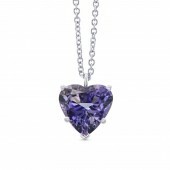 From the initial selection of the diamond to receipt of the beautiful necklace the process took about one month, which I felt was quite reasonable, and information every step of the way was conveyed in a clear and timely manner. Simple and yet very vibrant and elegant. I have enjoyed that I can pick my own setting and stones for the earrings I have gotten. 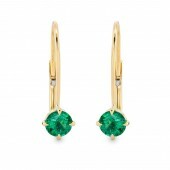 These were emeralds and look very stunning with the gold setting. Easy to wear with any style or event. Thank you for the fun and excellent service. We are very very happy with our purchase. Meira provided excellent service. The stone is better than anything we had seen in person when looking in local stores. Thank you Leibish! Thrilled with my beautiful ring! Leibish was wonderful to work with, Mali in particular was exceptional. Such great, caring customer service. Simply fantastic in every way! And the ring itself is so gorgeous, I love it. I cannot recommend Leibish and Mali highly enough - they are simply the best! It was a great experience. Since my first contact with Ms. Dani Ganz, she was the perfect person to guide me through the process, very professional, patient and kind. She was able to provide alternatives and choices, which ended with a beautiful engagement and wedding set that will melt my heart forever. Thank you so much. 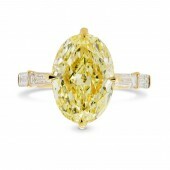 I came across Leibish & Co. via Pinterest, the yellow diamond rings are absolutely exquisite. 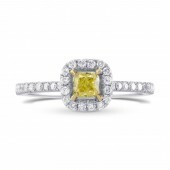 So I knew that I had to select a piece and found a Petite Yellow Diamond Halo engagement ring. From the beginning of the process, Mali Gavra was prompt and courteous with her reply, reassuring and respectful. 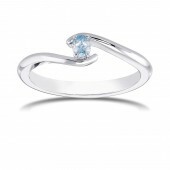 I had never bought a ring or any jewelry over the internet yet somehow I felt at ease. There were a couple of delays in communications due to the time difference between Tel Aviv and California, but all was handled expeditiously. Shelby Dauber in New York put on the finishing touches and made sure that it arrived before Christmas. My wife loved it... Her smile was priceless! Very prompt delivery. Exactly what I ordered. I've worked with Mali for the last three years.She is great!!! Very knowledgeable and helpful with no high pressure. 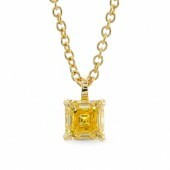 Leibish has great quality and selection. Look forward to working with Mali again next year. Thanks again Mali !! 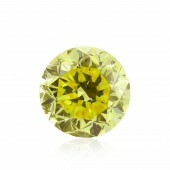 The quality of the stones are excellent and the workmanship of the settings is as well. I must sincerely thank Meira for her absolutely excellent assistance. She kindly assisted me throughout almost three months in the choice of the stone and of the setting, answering all of my questions and taking care of all of my requests. I can honestly say I have never experienced such an impeccable assistance before. All of my compliments also to the Leibish jewelers: the ring is amazing, and even better than I imagined. Superior service and a beautiful product. I enjoyed working with Dani Ganz and without any reservations would recommend this company to anyone seeking to purchase fine jewelry. Too many accolades to list, but the introduction video by Lebish and the selection of gems to view (high resolution) made me feel very comfortable from the outset. I wanted to express my most sincere appreciation to Dani Ganz and the staff at Leibish & Co!! They truly have made this special occasion an unforgettable process. Dani took my thoughts and ideas of what a ring should look like and made it better than I ever thought possible!! I’m impressed with how the concept turned into reality without me being there. The communication was excellent from the start and their willingness to work with me throughout the entire process was impeccable!! I have bought many pieces of jewelry but this will always be my favorite experience. Thank you !! !